Bryan Slone, Nebraska Chamber of Commerce president. A new business development tax-incentive program designed to help attract and create more higher-paying jobs in the state will begin its journey through the 2019 Legislature propelled by a broad range of initial support. 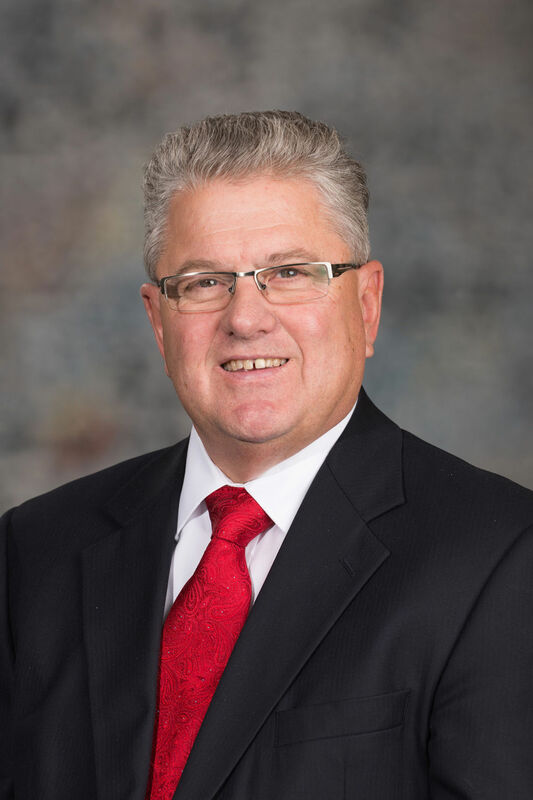 Sen. Mark Kolterman of Seward will guide the proposal (LB720) along its legislative path, but the bill already has attracted 21 co-signers that include conservative, moderate and progressive state senators who are members of both major political parties. The current business tax-incentive program, which Kolterman described as "cumbersome and not working effectively," is set to expire next year. "This is a work in progress," he said during an interview in his office at the Capitol. "If we don't continue to grow our state, we can't get the property tax relief we need," Kolterman said. "They go hand-in-hand; this is the path to substantial property tax relief." Bryan Slone, president of the Nebraska Chamber of Commerce and Industry, suggested that "in many respects, we are at an economic crossroads." "In a world that is growing ever smaller with technology, communication and transportation advances, competition between the states for talent and higher-paying jobs is at an all-time high," he said. The new legislative proposal "reflects a modernization of our incentives program to keep us competitive," Slone said. Under terms of the bill, tax benefits would be targeted according to a range of factors, including the number of jobs created, expanded employment, the amount of investment and wage figures tied to the project and with an emphasis on "quality jobs," along with modernization and mega-projects. Kolterman said the Department of Revenue, the Department of Economic Development and Chambers of Commerce "all had input" in creating the plan. The new program's cost has been estimated at $150 million to $185 million over the 10-year life of the revised economic development plan, Kolterman said. Management responsibility for the business expansion program would move from the Department of Revenue to the Department of Economic Development, he said. DED Director Dave Rippe said "we are working with senators on this issue around the governor's principles that he outlined in his State of the State address." That includes "tax policy that is simple, transparent, accountable and attracts higher-paying jobs," Rippe said. With the current Nebraska Advantage Act due to expire in 2020, Kolterman said, "we should not sunset that program until we have approved something new." Failure to accomplish that would be "akin to hanging a 'closed for business' sign on the state's front door," he said. "Nebraska must remain in the business recruiting and expansion game." Slone said the future is on the line. "Whether we will be able to retain a greater share of the next generations of Nebraskans and thereby build our communities and economic strength will depend upon our ability to compete to win in attracting and retaining business investment, jobs and attractive economic opportunities for our workforce," he said. The new program would be called the "ImagiNE Nebraska Act." Kolterman said it would be "more transparent and more user-friendly" than the current law. "We have a workforce crisis," he said in a news release that accompanied introduction of his proposal. "Our taxes are too high — both local and state taxes. Brain drain has returned; we are failing to retain enough of our best and brightest. "If we don't find ways to grow our population, diversify our economy and expand opportunities for the next generation, tough times are coming faster than any of us would like to admit." Among the bill's co-signers are Lincoln Sens. Suzanne Geist, Mike Hilgers, Adam Morfeld, Patty Pansing Brooks and Anna Wishart, lawmakers who represent a wide range of political views.